Kitchen Countertops are an important part of any kitchen. Often times, they are also a large investment for a home, and in turn, they can make a profound difference in home value. Luckily, there are different types of kitchen countertops to choose from. These options range greatly on price, upkeep, durability, and style. Making a decision about which type of countertop to use in your kitchen can be difficult. In order to make this decision, it is a good idea to educate yourself on the pros and cons of each option. 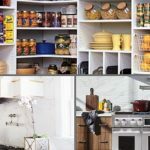 Below is a list of 11 types of kitchen countertops, and some vital information about each type. Each description will include basic information, pros and cons, as well as the average price per square foot. 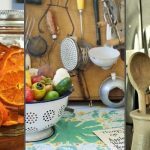 The list below is not exhaustive since there are tens of countertop material options to choose but we have included the most common ones that are selected by most people and also recommended by most interior designers. Plastic laminate is probably the most common laminate material. These countertops are inexpensive, easy to clean and practical. They are usually manufactured from plastic-coated synthetics comprising of a smooth surface. This surface is usually effortless to clean and comes in a variety of textures and colors. They are also easy to maintain, however, chips and scratches prove not possible to repair. It can also burn and seams are visible too. 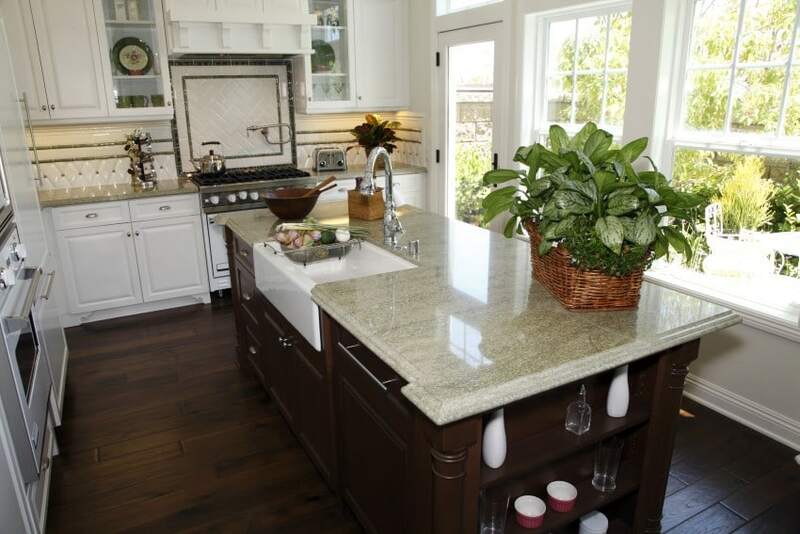 Pros: Standard laminate countertops are one of the most economical choices among the bunch. Their low price, easy installation, and versatility make them an optimal choice for low-budget kitchen remodels. Cons: Most laminate countertops are low-cost for a reason. They are not very durable, meaning they will scratch easily and cannot stand high temperatures. Also, if they are not properly installed, the laminate coating will peel from the plywood or particle board it was sealed to over time. Pros: High resolution/HD laminate is known to be far more durable than standard laminate. It usually also has a clearer, and more vibrant pattern. Sometimes reflective flecks are added to the surface of HD laminate for additional depth, also increasing its’ likeness to marble/stone. 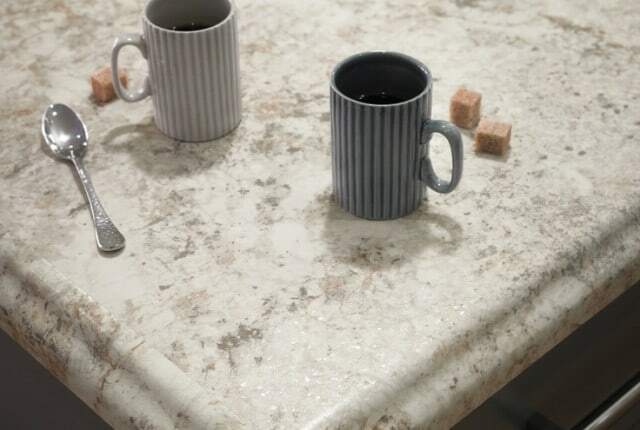 Cons: While high resolution laminate is far more durable than standard laminate, it is still not nearly as durable as stone or other solid surface countertops. This countertop material is easy to clean and durable too. 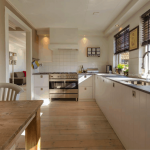 Apart from being less costly, you will have the ideal choice for counters for an average home. Since tiles can be installed one portion at a time, they can be built by majority of resourceful homeowners. Since there are numerous decorative tiles to select from, a tile counter can be custom made to a showpiece. Ceramic tiles for example come in a wide array of design, texture, color and price. They are easy to clean and can withstand hot pans. However, these tiles can crack or chip easily, require frequent maintenance to eliminate bacteria from the grout and the surface is usually uneven. Pros: Tile is fairly durable, heat resistant, and easy to clean when installed correctly. There are many options for tile shapes, colors, styles and types. Even grout color can be tinted to create a more interesting look. It can also be a very inexpensive option depending on the tiles you choose. Cons: If the tile is porous, it can cause problems with bacterial build up. This is why it would be a good idea to stick with ceramic or glass tiles. In addition, tile can be cracked or chipped very easily. Lastly, if there is not a coating or seal on top of the tiles, it can make the surface very uneven. 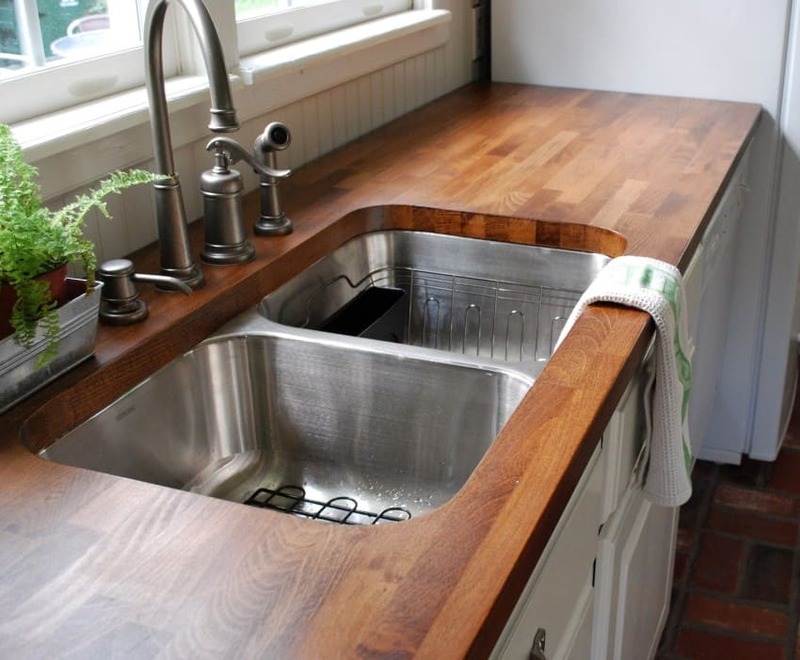 Since solid wood countertops have reliable coloring all through, scratches can typically be sanded out. Also, solid counters are quite stain resistant, however, they can be destroyed by heat or by hard cleaning chemicals. These countertops are custom-made to suit your specifications. 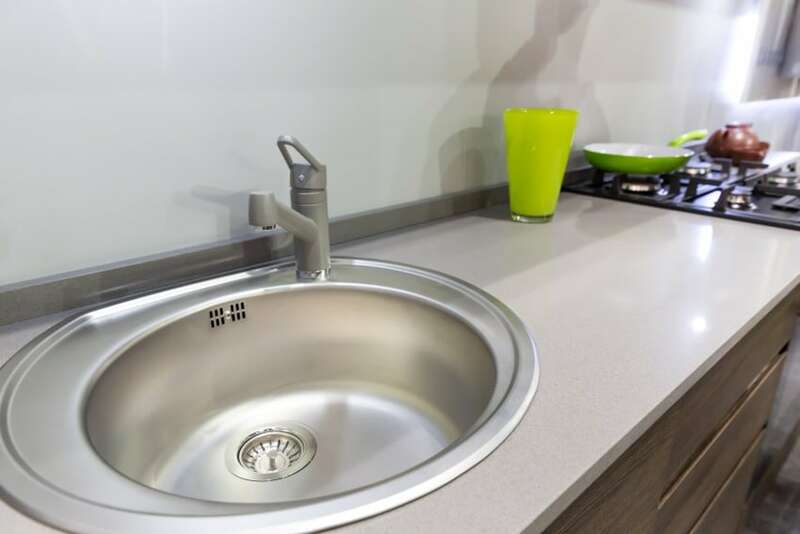 There are also incorporated sink bowls that are manufactured using a similar material, though they come in different colors from the countertops. Solid wood comes in a variety of patterns and colors and are seamless too. Pros: Butcher-block and solid wood can be used as a cutting board directly, which makes it great for prep work and chopping. It is also softer than most solid surface countertops, which means it is easier on delicate glassware and china. Cons: Butcher-block is not very durable. It can be marred by spills, scratches, burns, and dents over time. It also needs to be sealed regularly, and will become discolored if it is installed near a sink. Pros: Acrylic/Corian is by far the most inexpensive solid surface countertop choice. It is also very customizable. Most Acrylic/Corian countertop vendors offer integrated acrylic sinks, seamless corners, and a multitude of different patterns, finishes, and edge styles. 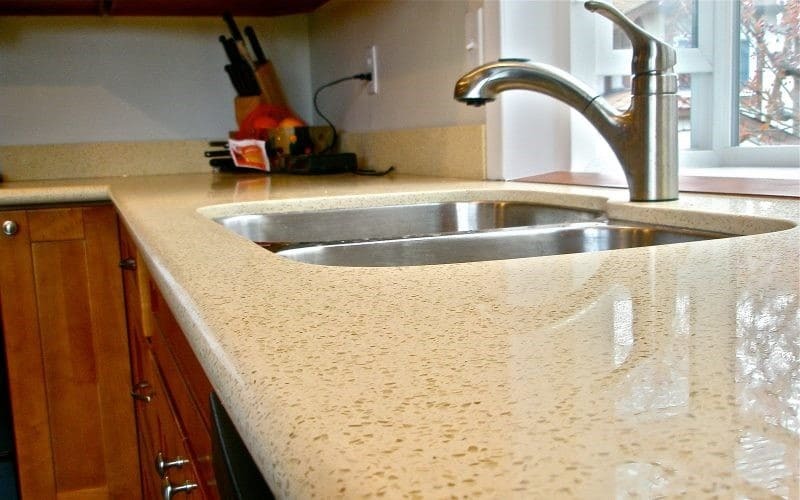 Corian also requires very little maintenance, because it is non-porous and easy to clean. Also, it is quite durable, and any scratches that do occur can be sanded out very easily. Cons: Although scratches can be sanded out, it is still possible for Corian to be scratched, dented, and stained. Also, due to the countertop’s acrylic nature, it does not stand up to high temperatures very well. One of the major benefits of concrete is that it is fully customizable; you can color, mold, sculpt, and texturize it to suit your needs. 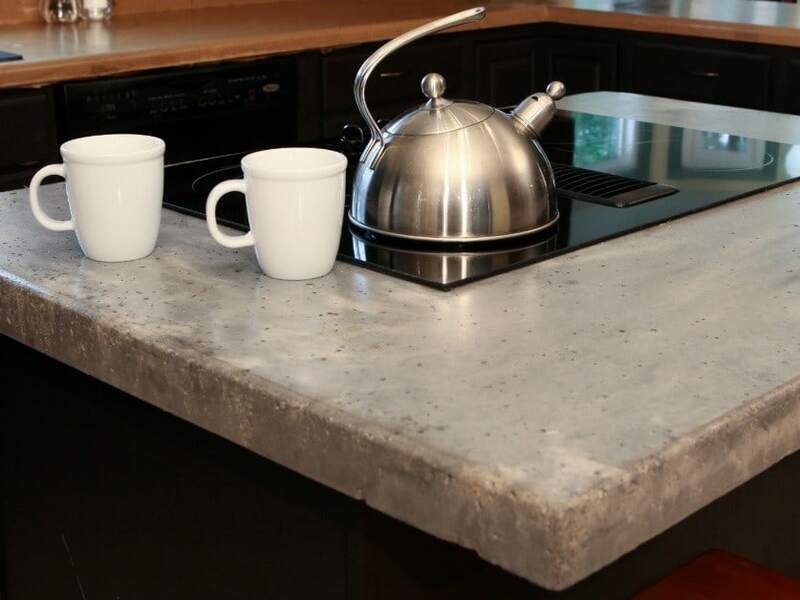 If you have counters with unusual shapes, concrete might be an ideal choice as they can cast right into your kitchen. Concrete is very durable with a natural, earthy feel and appearance, therefore they are suitable for external kitchens as well. The price ranges from medium to high. Concrete tiles appear unusual and exotic, you can color-tint them and new treatments can help minimize cracking. But, they have the possibility of cracking; can rather appear industrial and porous. Pros: Concrete countertops are heat and scratch resistant. If installed properly, they will be smooth and very durable. In addition, there are many tints, stains, and methods that can make your countertop one of a kind. Cons: Concrete countertops can be cracked. Also, because they are somewhat porous, they must be sealed and waxed regularly. This makes maintenance fairly difficult. In addition, installation of concrete countertops is not something you can do yourself unless you have the proper concrete laying skill. 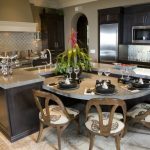 This means that you would most likely need to hire someone to custom cast your counters, which can be costly. Pros: Quartz is a very unique type of countertop. Because of its’ manufacturing process, it has even more color and pattern options than most solid surface countertops do. In addition, it is even more durable than most solid surfaces. Lastly, it is NSF certified as a non-porous surface, meaning it does not need to be sealed. In our article about the newest kitchen ideas and trends, quartz used on countertops is one of the material moving up in popularity for kitchens. Cons: There really isn’t anything bad to be said about quartz, with the exception of its’ costliness. However, if $100-$200 per Sq. 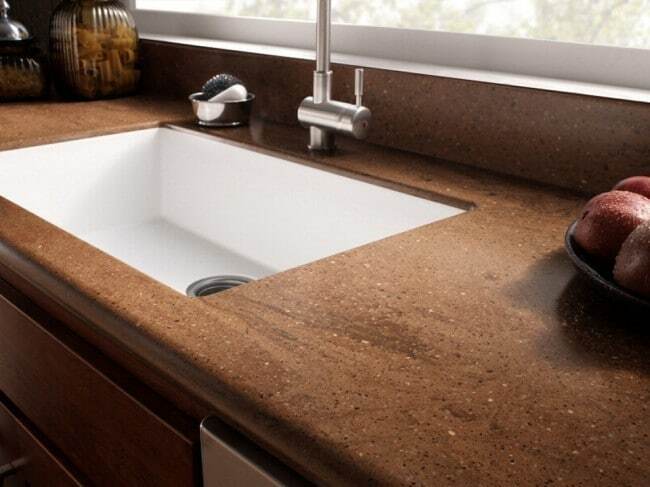 Ft. is within your budget, then this type of countertop would be a great option for you. 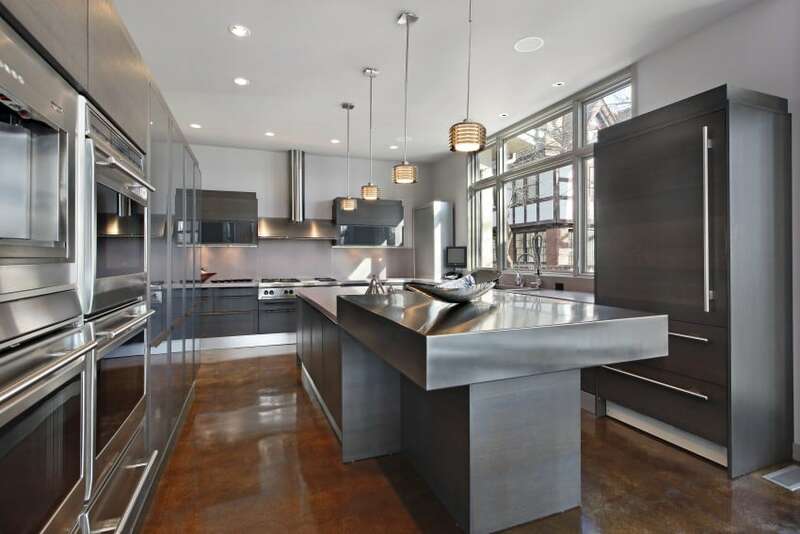 Pros: Stainless steel countertops are fairly durable. They reflect light, adding brightness to any kitchen space. They are also spill-proof and heat resistant. Lastly, they are very easy to clean and maintain. Cons: Stainless countertops can be noisy. They can also scratch or dent, and show finger prints. In addition, stainless is very pricey. Pros: Marble, like many other types of countertops, comes in a wide variety of colors and patterns. It is a smooth surface, and will not chip or dent. It is also heat resistant. Cons: Marble is very expensive, and not too durable unless you are very careful about sealing it regularly and keeping spills from sitting too long. It can be damaged or stained by acidic spills even if you seal it. Granite used to be the preferred countertop material by majority of homeowners in the past (now Quartz is more popular). It is a complete illustration of elegance in the kitchen. The attractiveness of natural stone will also influence the beauty of a modest kitchen. It is also among the healthiest countertop alternatives (if they are sealed properly) as they are ranked second after an entire microorganism for every square inch remaining after an average wipe down. Granite is able to withstand heat. It comes in a variety of about 3000 colors, appears substantial and permanent, lasts for a lifetime, the sealers do not require much maintenance and is valued highly by homeowners. However, on the other hand, it can crack if improperly installed or stressed, it is hard on breakables like glass, can cause dullness of knives after cutting on it and you cannot make the joints invisible. Pros: Granite is more durable than some other solid surfaces (like marble), and is also resistant to stains, scratches, heat and water if it is sealed regularly. Fairly low maintenance compared to some other solid surface countertops. 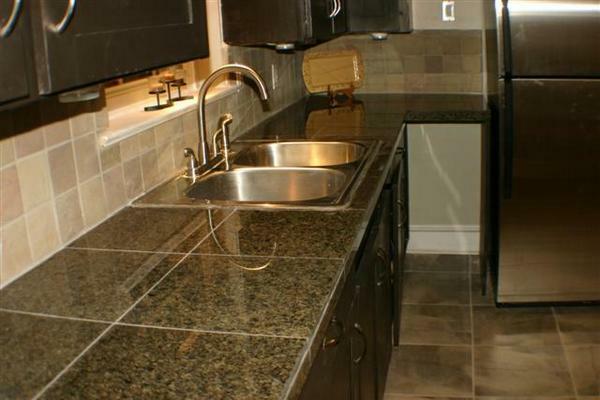 Also, granite has a great resale value and comes in different colors as well. Cons: Granite is very expensive, and requires sealing treatment once a year. 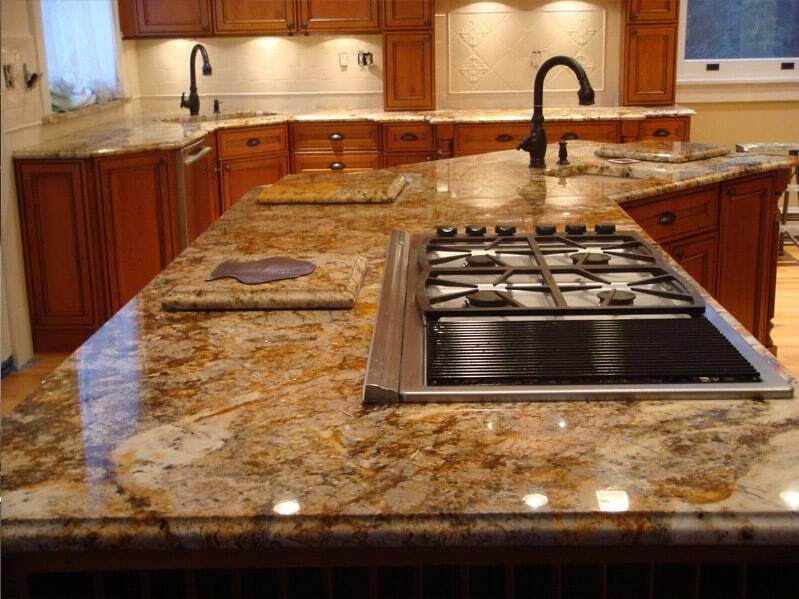 In the past, granite used to be one of the most popular materials in kitchens. However, Quartz has taken the lead nowadays especially in countertops. 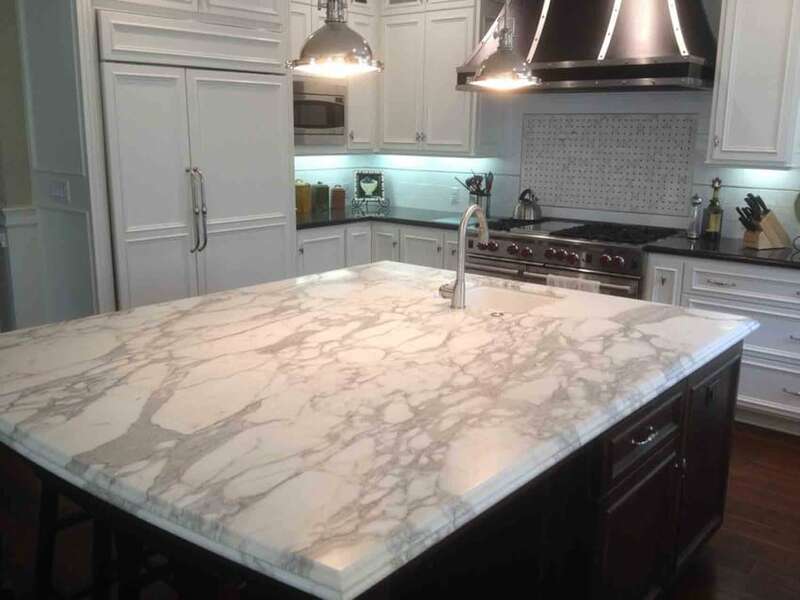 According to the National Kitchen and Bath Association (NKBA), Quartz is considered now the best material (and most popular) with an increasing trend. 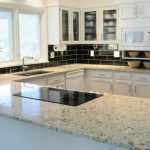 Granite is decreasing in popularity. 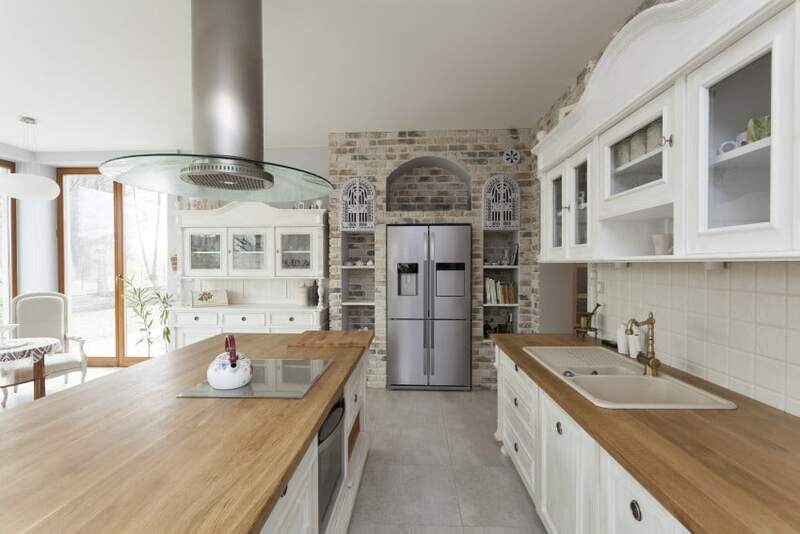 Moreover, Times published also some numbers showing the percentage that each material is most commonly specified by kitchen designers, with Quartz at 88%, Granite at 83%, Marble at 43% etc. When considering the maintenance issue, you need to think about resealing requirements of each material, which one is stain-free, which one does not accumulate bacteria etc. In this area, Quartz shines again. Professionals refer to Quartz as “Engineered Stone”. This kind of stone is nonporous and resistant to stains and scratches, thus making Quartz one of the low-maintenance materials for kitchens. Also, just a wipe down with a wet cloth is usually enough for cleaning the surface. Another good option for low-maintenance requirements is Laminate counter. They don’t need resealing and they are also nonporous like quartz. However, the disadvantage of Laminate over Quartz is that its not that durable to heat and scratches. By looking at the price estimates of each material we’ve discussed above, you can easily notice that Standard Laminate is the cheapest option. Some other cheap material include Ceramic Tiles and Butcher Wood although the latter is not low-maintenance.